It seems that most people are vaguely aware that there is trouble over there somewhere… maybe in the Middle East? Some sort of religious struggle? But, I’m not that interested in knowing what’s up. It doesn’t involve me. After Jesus went back to heaven, the early Christians were very successful in evangelizing their world, the Roman Empire. As the Eastern Byzantine Empire was slowly dying, the religion of Islam was developing in the Arabian Desert. Suddenly, the Muslim warriors burst out of the desert and devastated the Christian churches across North Africa and the Middle East. This jihad was finally stopped by World War One in 1914, & the Muslim Giant went into hibernation. Why were the Muslim warriors able to so effectively destroy the Christian Churches & convert, enslave or kill the Christians? The answer is found in understanding the life of Mohammed the founder & the theology he taught. At the end of WW1, the Ottoman Empire was destroyed and it’s lands parceled out among the Colonial Powers. The Muslim giant was in hibernation, completely humiliated. Then came the “Arab Spring”. The Muslim Giant burst forth from hibernation, determined to restore the ‘Golden Age of Islam’. This involves causing complete anarchy in the world, to bring back their Messiah. Islam’s agenda is clearly stated in the Koran, their Holy Book. The whole world must SUBMIT to Islam. However, Daniel reveals in the image he interpreted for Nebuchadnezzar, the two feet will be destroyed by a great ROCK, [our Lord Jesus Christ], and the ROCK will “FILL THE WHOLE EARTH’ [2:35]. Upon graduation from Columbia Bible College [now Columbia International University] we went to Pakistan under TEAM Mission to teach Bible. 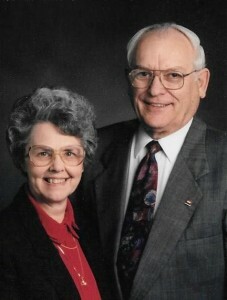 When the school did not materialize, we returned to Pastor for 6 years in Mansfield, OH. Lestor Pipkin recruited us to develop the missions department of Appalachian Bible College over next 21 years. I then became Associate Director of Berean Mission, in St. Louis, MO, directing 14 fields around the world for 8 years. The next 4 years as director of the Association of North American Missions here at home, before retiring in Beckley. However, I just returned from Honduras March 19-26 and in May will be teaching in Kenya, Africa with World Reach International Seminaries. It is wonderful to serve the Lord, even at 85.